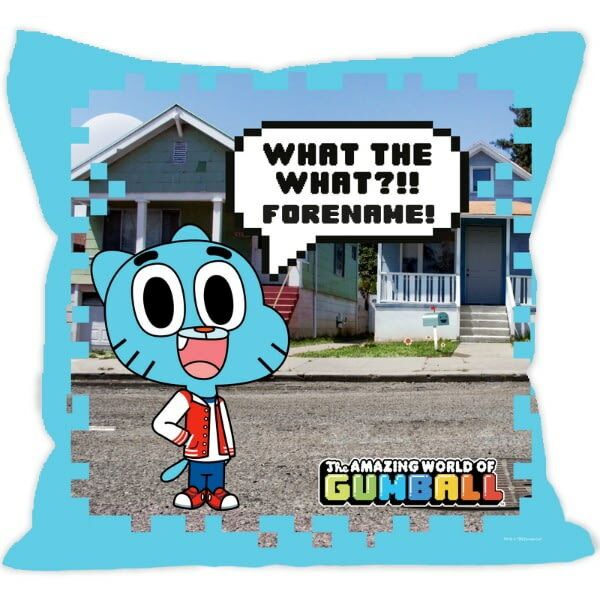 This Personalised Gumball Cushion with a hollow fibre inner, smooth linen and double sided edge to edge full colour print with invisible zip - A great gift for any ocassion that is superb quality and excellent value. Double Sided Edge to Edge Full Colour Print with invisible zip. This truly stunning gift is sure to raise a smile as the recipient sees their personalisation on the Gumball Mug. This Gumball Mug makes an ideal gift for any occasion. This truly stunning gift is sure to raise a smile as the recipient sees their personalisation on the Gumball Anais Mug. This Gumball Anais Mug makes an ideal gift for any occasion. This truly stunning gift is sure to raise a smile as the recipient sees their personalisation on the Gumball Darwin Mug. This truly stunning gift is sure to raise a smile as the recipient sees their personalisation on the Gumball Yearbook Mug.